Known for its high-energy atmosphere and exceptional, signature and seasonal offerings, STK Atlanta is taking happy hour to the next level. Every Thursday from 5 to 7 PM, Midtown’s sexiest steak and seafood house will be hosting a new Oyster Happy Hour featuring wallet-friendly, raw bar specials handpicked by Executive Chef Andrea Montobbio including: $1.50 oysters and clams, $3 shrimp, $4 ceviche, and $4 snow crab claws. 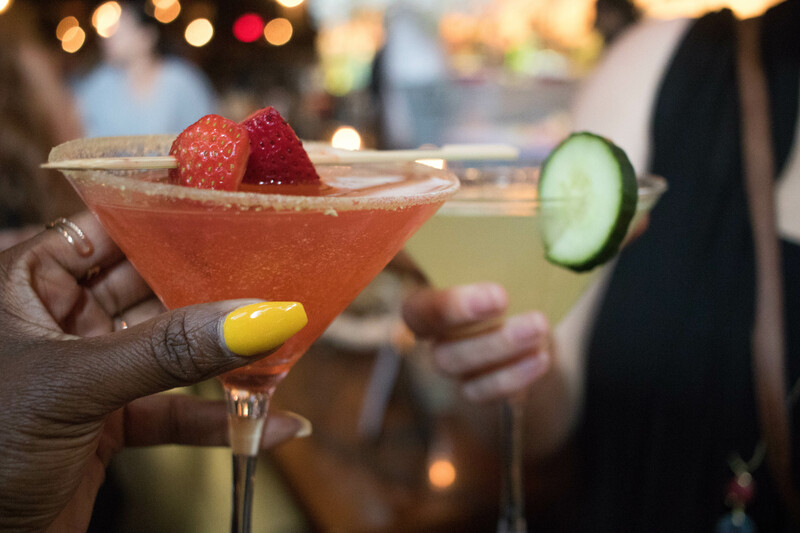 Revelers can also enjoy music provided by a local DJ and take advantage of $5 craft beer, $6 wine and $7 cocktails including house favorites – Cucumber Stiletto, Strawberry Cobbler, and Not Your Daddy’s Manhattan. For more information or to make a reservation, visit www.stkhouse.com or call 404-793-0144. STK Atlanta is located at 1075 Peachtree Street in Midtown Atlanta on the corner of Peachtree and 12th Streets in the 12th & Midtown development. Stay connected on Twitter and Instagram at @eatstk #stkatlanta. Wish we were closer, sounds like a good time!